According to the 2015 UBA Health Plan Survey, median in-network deductibles for singles increased 33% in the past year, while in-network deductibles for families remained unchanged. Interestingly, we observed the reverse for out-of-network deductibles, where the cost for families increased 16.7% and costs for singles remained unchanged. Significant increases in median in-network out-of-pocket maximums are of note for both singles (14.3%) and for families (8.8%); however again for out-of-network costs, families are bearing larger dollar increases ($2,000) versus singles ($1,000). 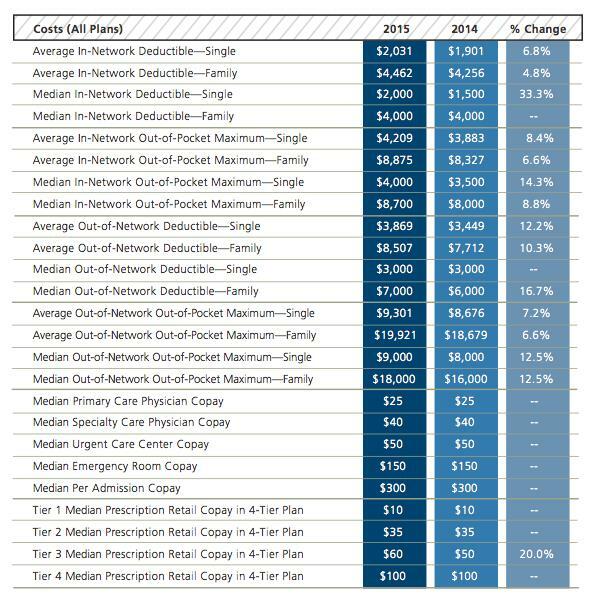 The 2015 increases in out-of-pocket and deductibles for both singles and families noted previously are indicative of the skyrocketing cost trends that we have seen over the past five years. Median in-network single deductibles have doubled, and employees’ median out-of-network deductibles increased 50%. The median in-network deductible for families increased 33% and the out-of-network deductible increase was a whopping 75% in just five years. Single employee out-of-pocket maximums for in-network increased 33% and out-of-network increased 50%, while in-network maximums for families rose 45% and out-of-network rose 50%. Because out-of-network expenses are not subject to ACA limitations, we expect to see a similar increase in costs in the future. 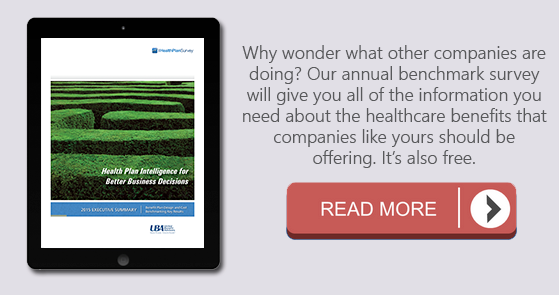 Download the UBA Health Plan Executive Summary for comprehensive findings on health plan costs.